Injustice 2 is a fighting video game created by NetherRealm Studios and is edited by Warner Bros. Interactive Entertainment. The appearance of this version are very similar to that of the first version of the game. This long awaited version comes with a new feature named the Gear System, a method that rewards gamers with costume pieces and articles that can be practice to customize characters’ looks and modify their skill and stats. That essentially means that the limitation of complimenting the play style, of each character, still remains intact. Along with the trait system the other features are also intact. As a gamer, you can obviously collect as many types of equipment you want, but you cannot get to activate the armor whilst battling. Apparently the game is much refined and provides a lot of rewarding combat options. The addition of the gears is what sets the tone up for the gamers. This allows the gamer to design and customize his/her favorite characters. There are some glitches to the gear management which might eventually frustrate a gamer. However, on the plus side the liberty of the gamer to customize the characters is the biggest winning point of the DC universe based video game. Also despite being primarily a combat based game, Injustice 2 provides a great storyline. The backdrop shows that there is an ideological difference existing in Justice League, primarily between Batman and Superman. This division keeps the tension of the story running throughout the game till the appearance of Brainiac, who temporarily connects the entire League against a common foe. Though the gamers might feel that some interactions are forcefully being inserted into the game, but it helps them eventually to understand the game from a wider angle. According to the founder of the game, the geared-out versions of the characters could be completely eradicated from the vanilla versions. That provides the options for the gamers not to engage with serious competitors, in case they do not want to. On one side this demarcation, brought in by the developers of the game, is good as it helps regular players not to engage in combats with seriously competitive gamers. However, on the other side, it also means that a regular gamer, gets deprived of the new geared-up features. On the plus side though, Injustice 2 PC brings back some of the old favorite characters like the Flash and also Green Lantern, and also incorporates underrated popular characters like Red Lantern Atrocitus along with Swamp Thing. With almost 30 characters, the game offers a plethora of superheroes and super-powers to play with. However, it fails to make any permanent mark which can distinctly separate this version, of the game, with the previous one. 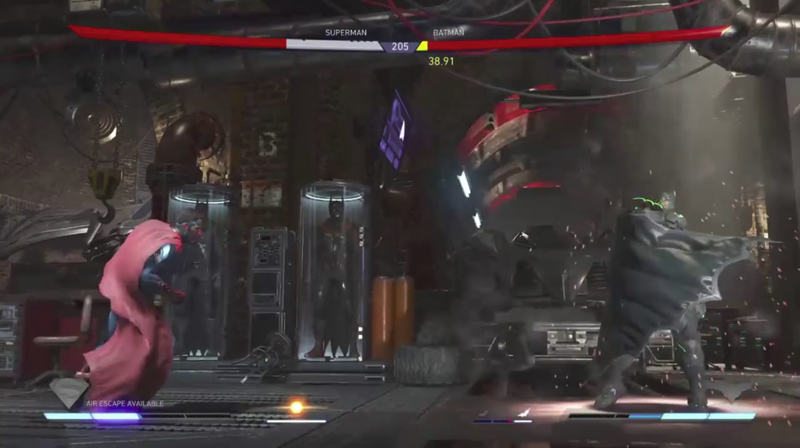 Our Injustice 2 Tips for the players is if you want to win a battle with a specific fighter, go at personage tutorials, where can view the best ways to implement yours strategy. Also, the game provide a few helpful control options. The game includes 28 playable personages, compound from new heroes and negative characters. 5. Enjoy the game ! Will this game work on my pc ? I have 4GB Ram and intel HD graphics 3000. Thanks for contact us. The game will works on your system without problems.